SPONSOR CONTENT - Accidents can happen to anyone—but you can protect yourself by purchasing liability coverage through K&K Insurance Group. Our general liability insurance program has been specifically designed to meet the needs of personal training, fitness, exercise and aerobics instructors who work on an independent contractor basis. 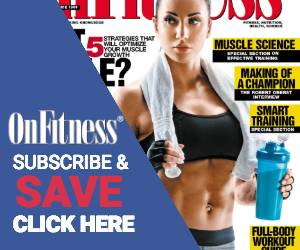 Our website makes purchasing affordable coverage easy; just visit www.FitnessInsurance-KK.com to quote and buy online 24/7—when it's convenient for you. Instructors exclusively teaching yoga can obtain lower rates through our Yoga Instructor Program. 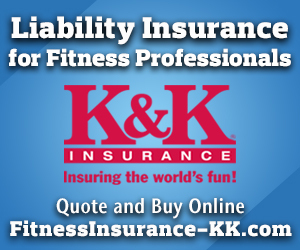 Liability Insurance for Fitness Professionals - Click here for more information! General liability coverage protects you if you are legally obligated to pay damages for bodily injury to others and for damage to the property of others resulting from your fitness instruction activities. The policy also provides coverage (professional liability) for wrongful acts (breach of duty, neglect, error, omission, misstatement or a misleading statement in the discharge of fitness activities) that occur as a result of your instruction activities. Unlike many of our competitors, there is never a charge for certificates of insurance!